Give your baby the best. 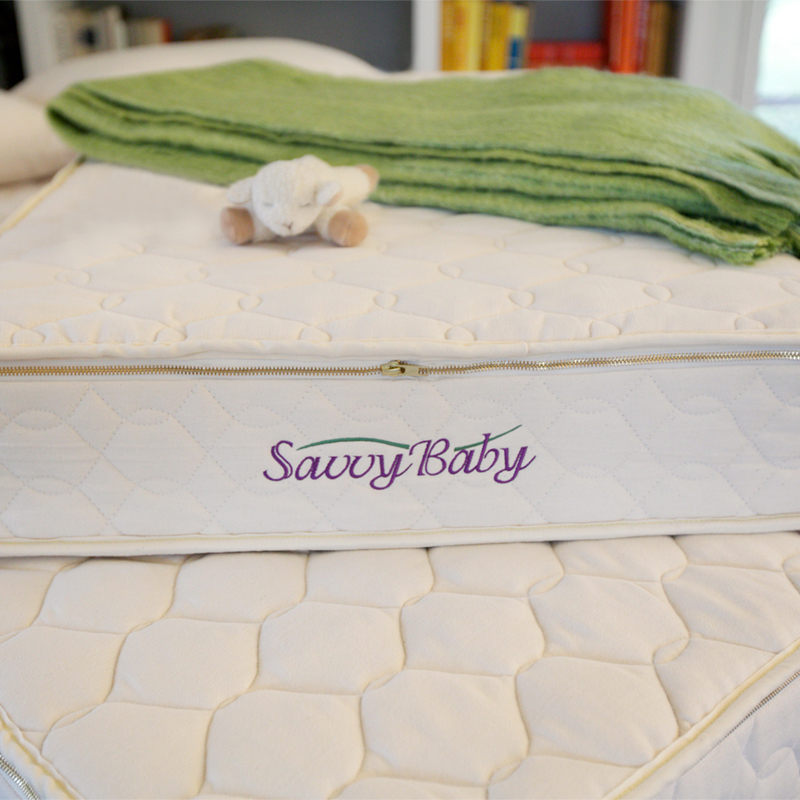 Pure, safe, and supportive for growing infants, The Savvy Baby™ is a GOTS-certified crib mattress made of a single, solid 5" layer of Firm natural Dunlop latex in the Savvy Rest organic casing. Note: The Savvy Baby performs best on cribs with slats or a solid bottom; rigid support is required. For spring-type cribs, a ventilated support board should be added. Ship Note: Ships next business day. For details see Shipping & Delivery. 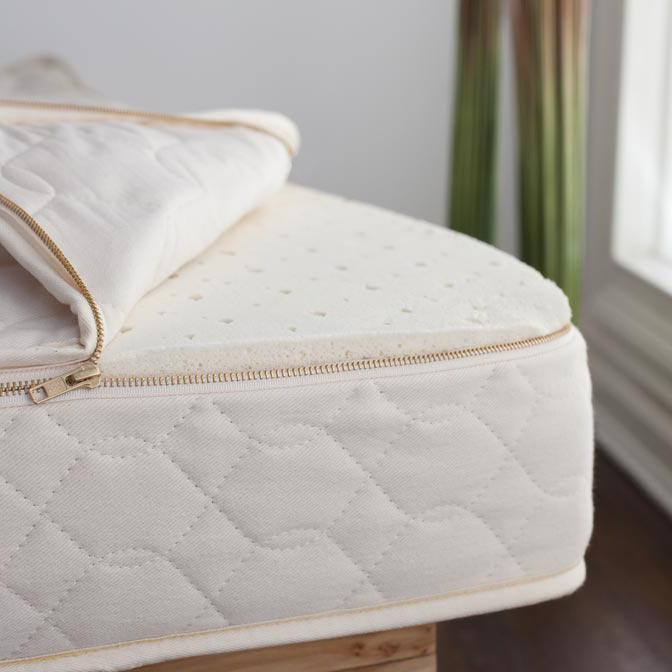 What's inside a Savvy Baby organic crib mattress? The Savvy Baby crib mattress is completely GOTS-certified organic. Learn about the natural materials we use. True natural latex, without synthetic latex or fillers blended in, is simply natural foam rubber. 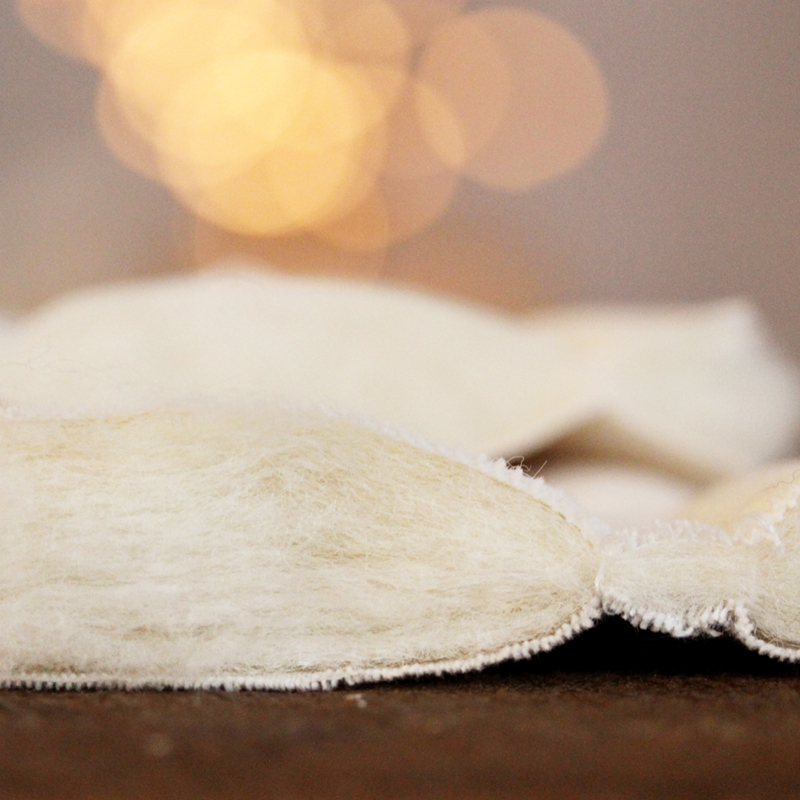 We use certified organic Dunlop latex in our Savvy Baby crib mattress. Dunlop, named after the method in which it's manufactured, is dense and supportive. We use a firm, 5" layer in the mattress. New parents can have peace of mind that their child is sleeping on organic latex instead of toxic memory or polyurethane foam.